I saw this in Route 66 in Texas. The sign in front of the gas station says it is haunted. I guess I could say that my 12 year old daughter is a chip off the old block. She began to write fantasy. For a 12 year old it was rather good. I got her permission, took the story and ran with it. It is coming out good, slowly but good. Since she expressed a desire to continue to write fantasy, I thought it good for her to have some background and to understand that to write, one must do some research. I am always happier when I am making something for some dumb reason or the other, so I downloaded the fundamentals of swordplay off the net and we went to the hardware store to get supplies to make homemade swords. It cost around $20, enough to make two. First get one 8 foot long stick of 1/2 inch plastic grey water pipe, not the real floppy stuff used for quick connections like Shark Bite. Get (2) 1/2 PVC 4 way unions, 8 small screws, foam pipe padding and a lot of duct tape. With a hacksaw, cut the tubing. A good rule of thumb is that the blade part should be about as long as the baseball bat that person would use. The pummel should be long enough for two fists or slightly longer. Hand guard you can do what you want, I just went 3 inches. After cutting, insert pieces into 4 way and resist the urge to glue it as it will come apart later. Drill a small hole and put the screws to it. Next, maybe after a smoke break, slide the foam down the blade part and cut it over length, fold the ends down and tape it. That allows for a cushion while stabbing. Cover the hand guard with foam, and the pummel if you want to. Wrap the entire thing in duck….duct tape. (Quack). I added more foam to the pummel end to give it a rounded end, also optional. SAFETY NOTE: Now pay attention. The foam makes them hurt less, BUT YOU CAN HURT YOURSELF WITH THESE OR SOMEONE ELSE. I know there are clubs around that do this, but use your head. Do not use them in the house. If your mom/wife gets mad because you broke the Jack Daniels Elvis Decanter I don’t wanna hear it. I told you. Work on swordplay, knowing the strikes and blocks before you go hitting people, which I wouldn’t suggest you do anyway. Have fun but nobody gets hurt. I am NOT responsible for what you do. If you like blues music, which I love, and motorcycles, guilty again, Thursday nights at Native Pride are the place to be. Located on Rt. 20 on the Res and showcasing excellent blues bands, it has all the things one would expect from a Native American truck stop, like smokes, food, fuel, Arizona Tea cans. This is not the first show. They have been doing it all summer, but I have just been busy, or too lazy, to talk about it. They do have all of my favorite things! Bike count has gone down though. The first day it was packed and now it is a bit wanting for bikes, so if you happen to be around on Thursday, show up. I was upset that Gowanda Harley Davidson was not there this week. I intended to piss them off by winning the smoke show with my 1984 Honda GoldWing. I here they will be around next week. Still there are rockin’ blues and nice bikes to look at. And no, being at a bike show didn’t stop me from snapping a few pics of this awesome Cutlass, even if I couldn’t track down the owner. I bought a 2015 Hyundai Elantra. I am not bragging about it really. Not a GTO, after all. I got it for business reasons. It is my hope that my days at the New York State Thruway Authority as a toll collector are about done. My new dream job, since being a fat, lazy author isn’t panning out, is to deliver new motor homes to the dealers. In truth, I have been thinking about doing this for quite some time, and only of late has things come together enough for me to do it. So, what does one do after he spends $15,000 on a car? If you guessed rip the front bumper off, you where right! …tow the car behind a motor home. Perverts. etrailer.com has all the stuff you need for pulling something or the other down the road. After removing the fascia, the front bumper needs to go. Once that is done the new part can be installed. It is what the tow bar will hook up to. A bit of swearing, (mostly looking for tools in the mess that is Rob’s garage) came into play but the job isn’t that bad. Once the tow bar is put on we plan to weld the feet in. I thought I would just take a minute to say hello. I am still alive, still writing. Honestly, not much of note has happened in the last few months. Sales of the book are slow, I go to work hang out with my kids and my girlfriend when I can. The miles do rack up on the motorcycle, and I may be changing jobs soon. If anything good happens, like I go to a car show, I will let you know. Later. So The Nickel City Con is done, broken Batmobile and all. I had a good time. Sold a few units and talked about my book, Project 49. I did buy a few posters, one of zombies and another of my hero, DarkWing Duck. Maybe post about them after I get frames. I did see Barbara Eden (I Dream of Jennie) in passing. Wow is she short! That and the people in the booth next to me got kicked out for running a gambling scam. I was wondering about that because it looked fishy. No merchandise rolled out of there. Still they made a killing, until they got kicked out. Here is some pics of the best cosplay! The lady on the other side of me, nice lady, had an awesome collection of Lego Mini-figs and other Lego and Lego comparable stuff. Hit up http://www.custom-brick-creations.com, the pic is just a small part of it! 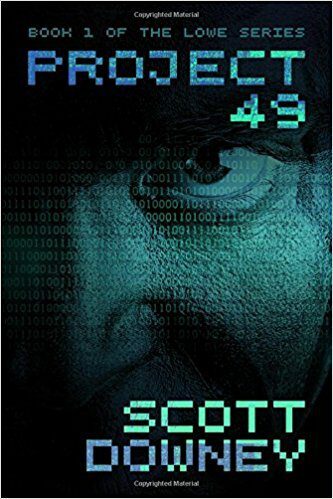 Now I would like to announce the winner of his own copy of Project 49 from the raffle! Congrats to: Brian Boyce of Cheektowaga, NY!